The hardest part of shopping for your dog is deciding what food to buy for them. Some dog food brands advertise that theirs is one of the healthiest dog food brands compared to the rest. 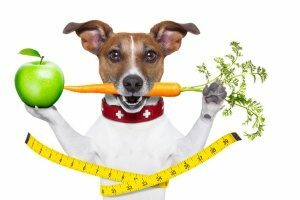 Before you opt for the first “healthy” brand you see, it is important to consider what types of healthy ingredients your dog enjoys the most. 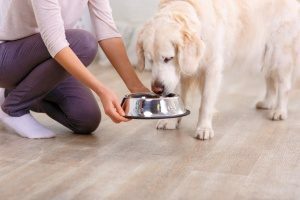 Though dry food is the quickest and easiest food to serve your dog, it can sometimes contain many of those classic unhealthy additives and even artificial flavors. 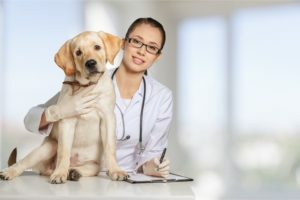 This is because brands don’t have to list their full ingredients on the front of the packaging, and can confuse shoppers into thinking that a healthy branded dog food is truly healthy, even when in reality it is a lie.That is why it’s crucial to read the actual list of ingredients before serving it to your dog. To help you decide which brand of dog food to purchase from, we’ve compiled a list of the 6 best and healthiest dog food brands on the market. With no wheat or by-products, Blue Buffalo’s Adult Chicken and Brown Rice Recipe contains the perfect balance of nutrition for your furry friend. This recipe contains a ton of protein as well as fiber, which are both essential for your dog’s functionality. Blue Buffalo’s product is also good for your dog’s bones, joints, muscles, and immune system, which promotes optimal growth to keep your dog strong and healthy. Most dog owners prefer Blue Buffalo due to its “Life Protection Formula,” which is a mix of real meat as well as healthy fruits and vegetables. Overall, this brand is one of the best because of its excellent health benefits that keep your dog active and energetic. One of the most well-known and healthiest dog food brands on the market, Pedigree makes plenty of healthy options for your dog to enjoy. Their Choice Cuts in Gravy With Lamb & Vegetables boasts a healthy blend of protein as well as essential vitamins and minerals. This Pedigree favorite features lamb along with peas and carrots, the perfect blend of nutrition and flavor. It’s also a great choice because it is easily digestible and contains vital nutrients that are good for your dog’s skin and coat, as well as its bone and muscle health. Dog owners whose dogs prefer canned food over dry food love this Pedigree product because of the amazing nutrition that it contains. If your dog prefers the taste of fish over meat, Wellness Natural Pet Food has a healthy option that is specifically tailored to them. Wellness’ CORE Grain-Free Ocean Whitefish, Herring & Salmon Recipe contains the right amount of vitamins and minerals that help your dog maintain a strong immune system and skin and coat. This specialty diet also features plenty of green vegetables such as spinach and kale that make for excellent probiotic support. The Wellness option is highly favored by dog owners because it provides a healthy and well-balanced alternative to other meat and contains many essential nutrients that support overall health for your dog. Your dog won’t even need to eat any other food in addition to this Wellness choice, which will keep them happy with great taste, great health, and keep your life simple with only one dog food brand to ever need. This is why Wellness is easily one of the healthiest dog food brands around. If you have a puppy that is in need of better growth and nutrition, then Iams’ ProActive Health Smart Puppy Large Breed dry food is the perfect choice. With a combination of real chicken, rice, fruit, and vegetables, this Iams choice is catered to the dog under 2 years old who needs support for brain development and overall growth. This recipe features an optimal amount of omega-3 DHA so that your puppy can become smarter and more easily trainable. Most puppy owners who decide on this Iams favorite do so because it fuels growth and development without substituting any important ingredients that provide for the overall health and wellbeing of your dog. If you want to enjoy watching your puppy grow up big and strong, then this Iams brand is your best bet. A great organic and non-GMO option, Castor & Pollux offers their Organix Grain-Free Organic Chicken & Sweet Potato Recipe for both dogs and puppies. They receive the health benefits of eating free-range chicken and organic sweet potatoes with this brand, making it one of the healthiest dog food brands around. It also boasts organic flaxseed, blueberries, and coconut oil with enough vitamins and minerals to let your dog’s strength and immune system soar. The best part, even with all these healthy, organic ingredients, taste is never sacrificed. If you’re a dog owner who believes in organic products, you will easily fall in love with this brand, and so will your dog. Hill’s Pet Nutrition is one of the best dog foods on the market you can buy if your dog suffers from digestive issues. Their Digestive Care with Turkey canned food is a great option if your dog has recently undergone a surgery or struggles with gastrointestinal problems. At the same time, it contains a great source of protein with chunks of turkey, and is loaded with crucial vitamins and minerals that are great for your dog’s immune system as well as all of its organs. It does require a veterinary prescription, though, so make sure to ask your vet if your dog is eligible for this item. You can also feel free to ask other dog owner’s who purchased this Hill’s dog food how impressed they were with how quickly their dog was able to regain proper digestive and overall health! If your dog is ever ill or needs food that won’t upset their digestive tract, consider asking a vet about Hill’s prescription diet.